Hanoi (VNA) – The northern mountainous province of Lai Chau announced its first African swine fever (ASF) outbreak on March 19, raising the total number of disease-hit localities nationwide to 20. The province said it was culling 117 pigs found to be infected with the ASF virus, its first outbreak since the disease flared up in the country in late February. On March 18, Nguyen Van Can, a farmer in Dong Phong village, Tam Duong district, contacted the authorities to report his pigs were ill. Samples were sent to Hanoi for analysis and came back positive for the disease that is bringing devastation to the country’s hog industry. A few days ago, infected herds were found in the central province of Thua Thien-Hue and the northern province of Bac Ninh. According to the Department of Animal Health under the Ministry of Agriculture and Rural Development, nearly 35,000 pigs have been killed in an attempt to stop the devastating outbreak from reaching the southern farms that produce the industry’s largest outputs. 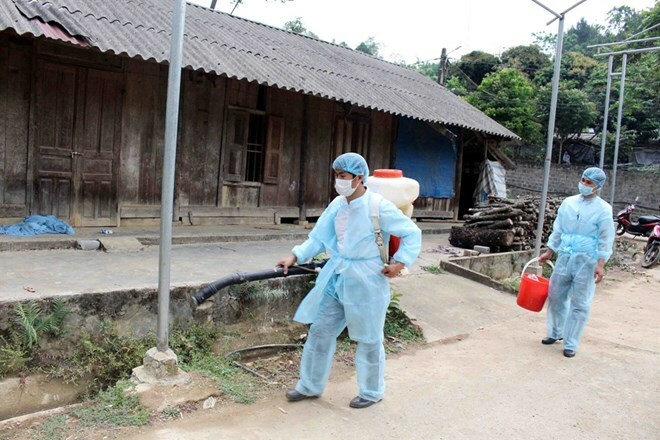 Nguyen Van Long, head of the department’s epidemiology office, said on March 19 that there was a very high risk the disease would continue to spread. However, he urged consumers to remain calm as ASF does not transmit to or cause illnesses in humans. The outbreaks have only occurred at small farms, with none boasting a herd larger than 500 pigs, Long said. Larger, industrial-scale farms are strictly following biosecurity standards and remain safe from the outbreaks.